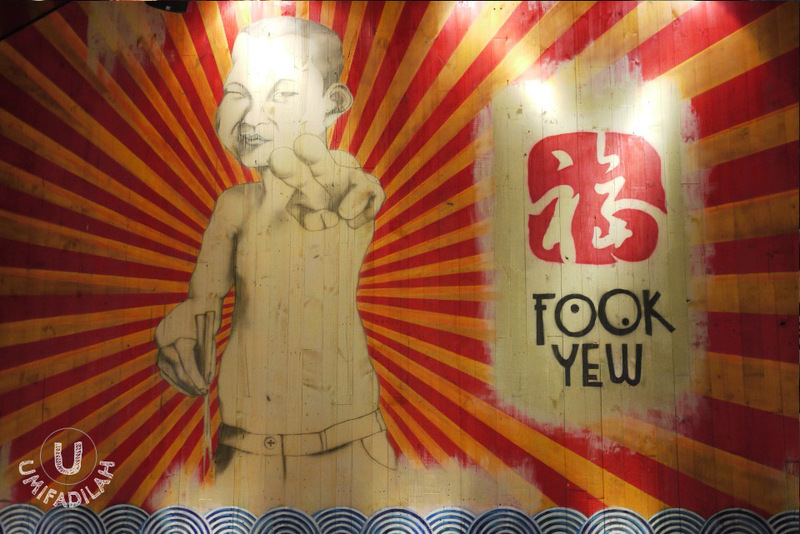 ‘FOOK’ means “FORTUNE” and ‘YEW’ means “FRIENDSHIP”. 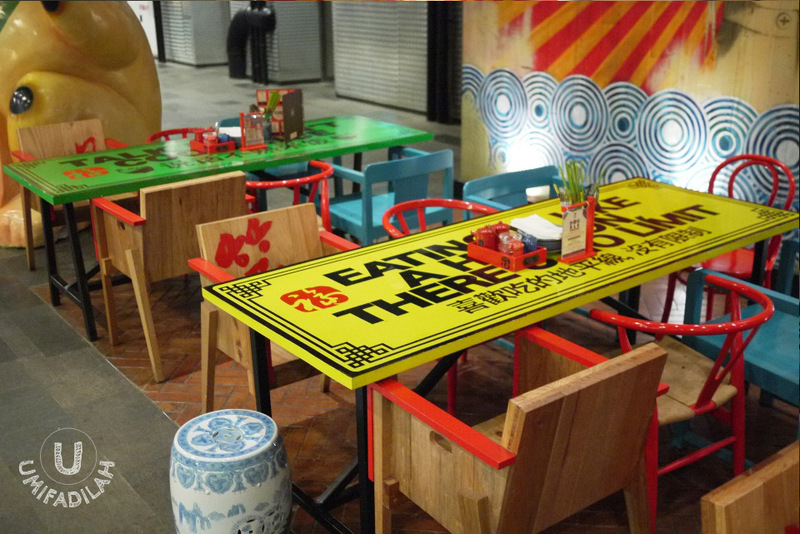 What's also interesting is that Fook Yew does not want to be your ordinary Chinese bistro. 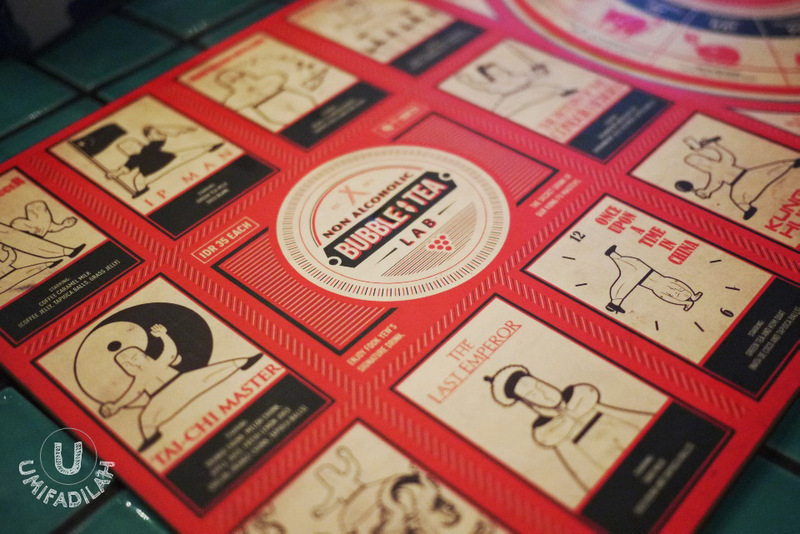 They're aiming at something young-spirited, fun, unthinkable, like combining alcohol to your bubble tea; just because... alcohol pretty much describes the youngsters, right? They quite hit the market as one of the pioneers, and I'd say it's really unique. They have their mixologist-slash-chief of bartender did a demo in creating two of their favorite beverages: The Stubby Dog and The Dancing Pig. The Stubby Dog (IDR 69k) - Coffee Caramel, Creme de Cacao, Bailey's, with Coffee Jelly, Tapioca Balls, and Grass Jelly. I personally liked this one better because creamy bubble tea has always been my favorite! The Dancing Pig (IDR 69k) - Cranberry Juice, Creme de Cassis, Fresh Lemon Juice, Absolut Vodka, with Tapioca Balls and Aloe Vera. Oh and basil leave on top! Refreshing, but a bit too bitter after-taste effect. Yes. Creative naming convention. They basically have two different category on the bubble-tea menu: Non Alcoholic and Alcoholic. 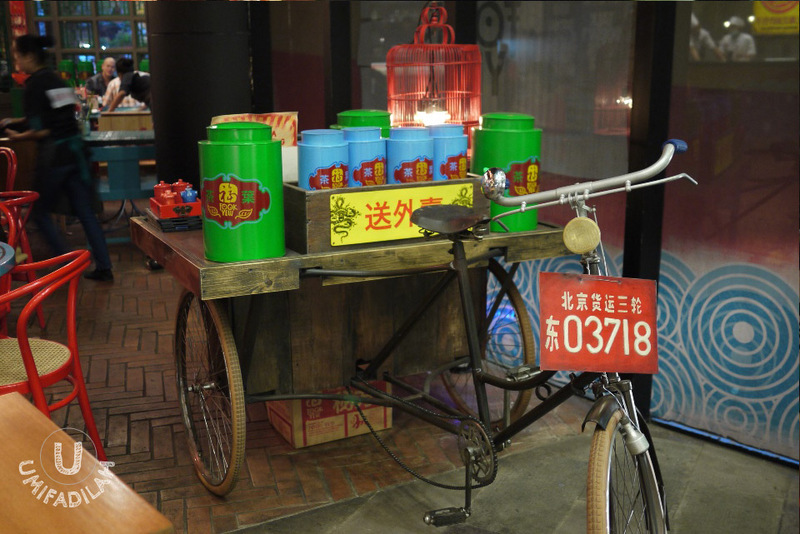 For the alcoholic bubble-tea selection, they have 12 different kinds which is named after each of Chinese zodiac. There we have The Fire Dragon, The Golden Rabbit, The Choco Tiger, The Storming Ox, The Shiny Rat, The Dancing Pig, The Stubby Dog, The Gummy Rooster, The Metal Monkey, The Wooden Sheep, The White Horse, and The Nutty Snake. All priced at IDR 69k. And as for the non-alcoholic version (IDR 35k each), they name it after some famous Kung Fu movie titles, say Shaolin Soccer, Ip Man, The Return of The Condor Heroes, Crouching Tiger Hidden Dragon, Kung Fu Hustle, etc. I mean, it's good, it's unique, but imagine having options THAT much and maybe, like me, you'll end up admiring the menu instead and be overly confused on what to pick. Maybe should add 'Roulette' wheel and make the menu as board games, to help people decide randomly? You're welcome. Two Flavor Hongkong Kailan (feels like eating both Kailan stir-fry and "Ayam Tangkap's" deep-fried greenies. Love the crunchy bites!